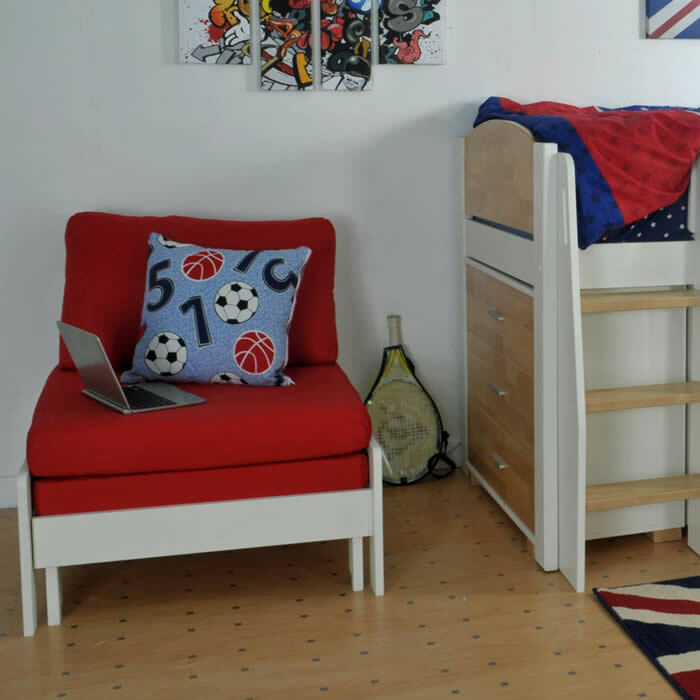 The Kids Avenue Urban midsleeper children's bed set 9 in white and natural birch features a pull out chair bed, chest of 3 drawers, two low shelving units and a curved desk with chrome legs. 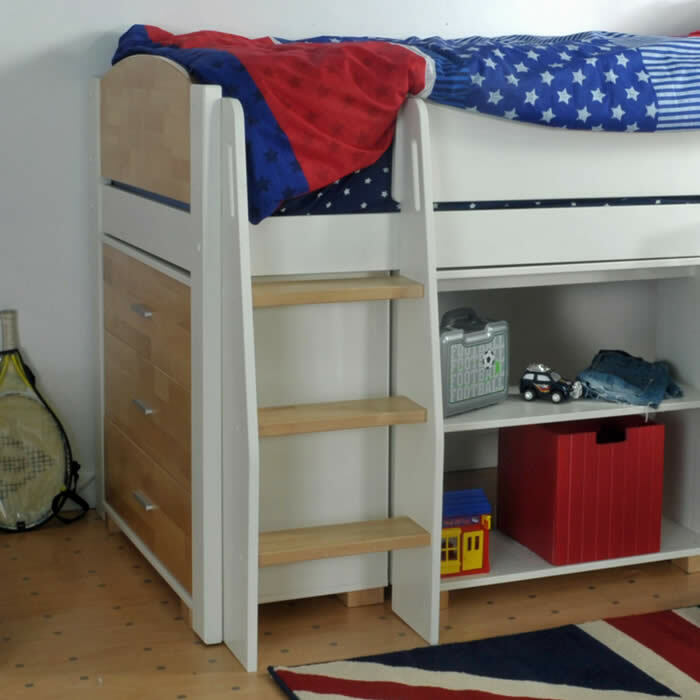 The Urban's ladder has 3 birch steps with white side rails and it can be positioned to the front left or right side of the midsleeper frame. 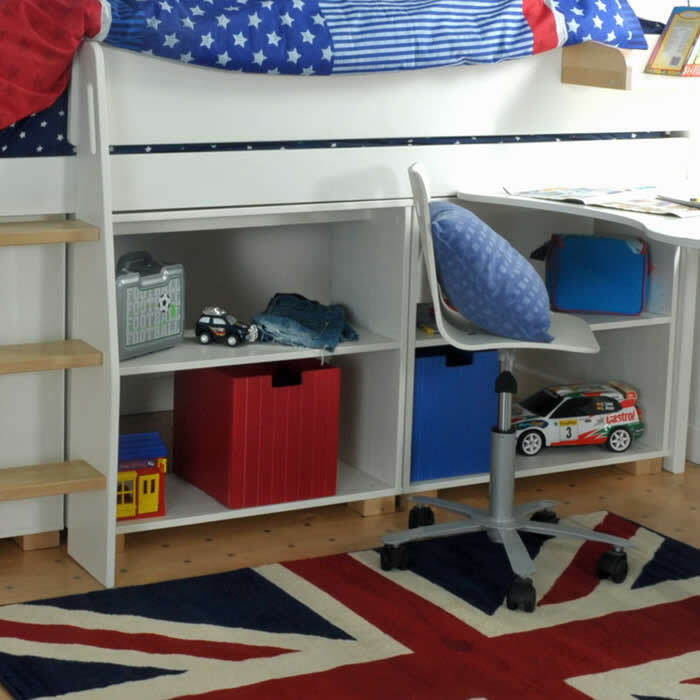 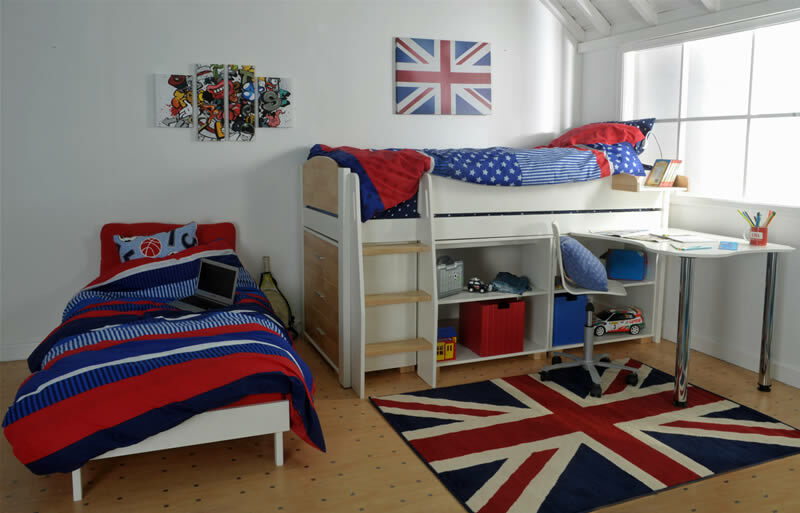 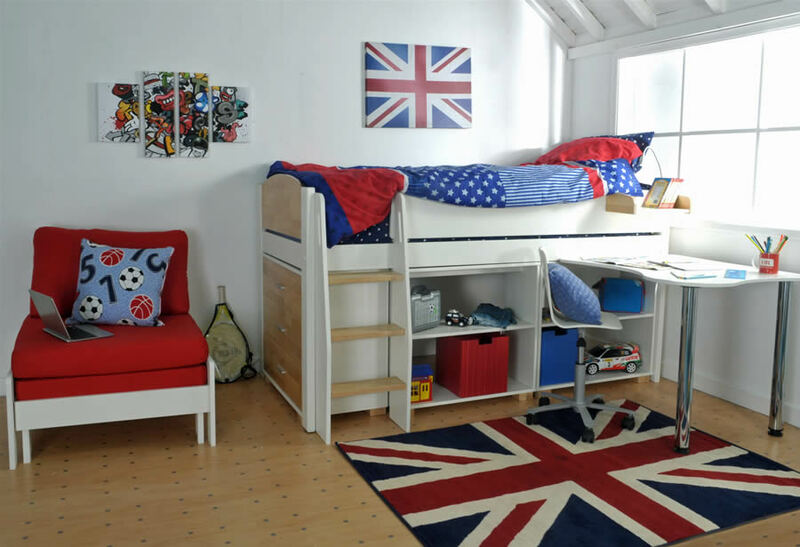 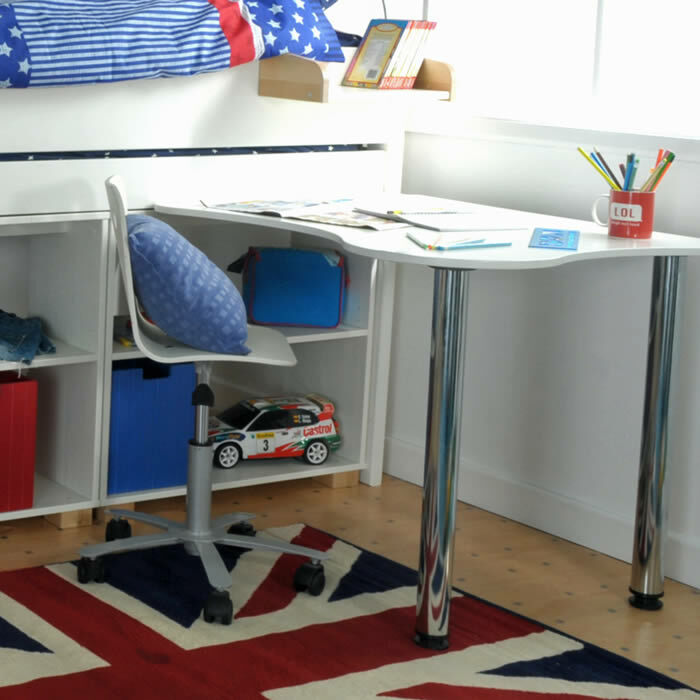 To fit in with your child's bedroom layout the Urban desk is reversible allowing it to be fixed to the front or ends of the bed frame. 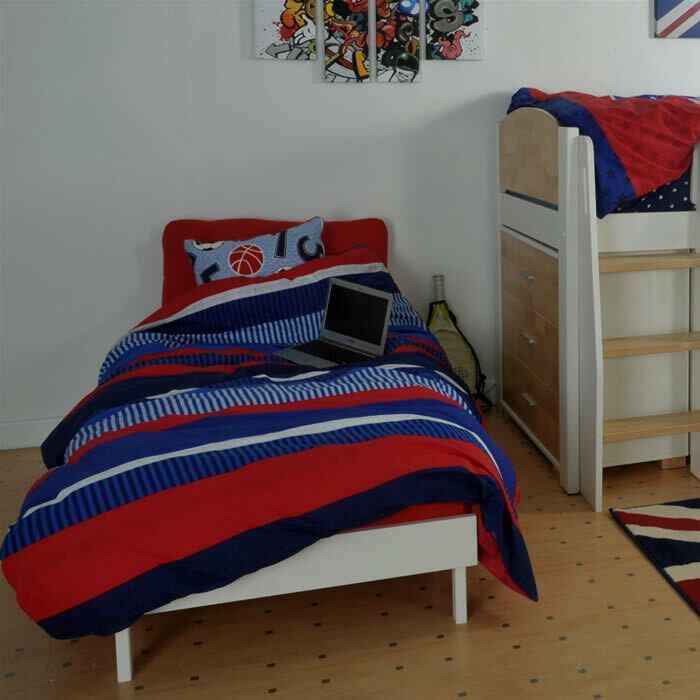 Made for a single 90cm wide by 200cm long continental sized mattress for extra comfort and growing space. 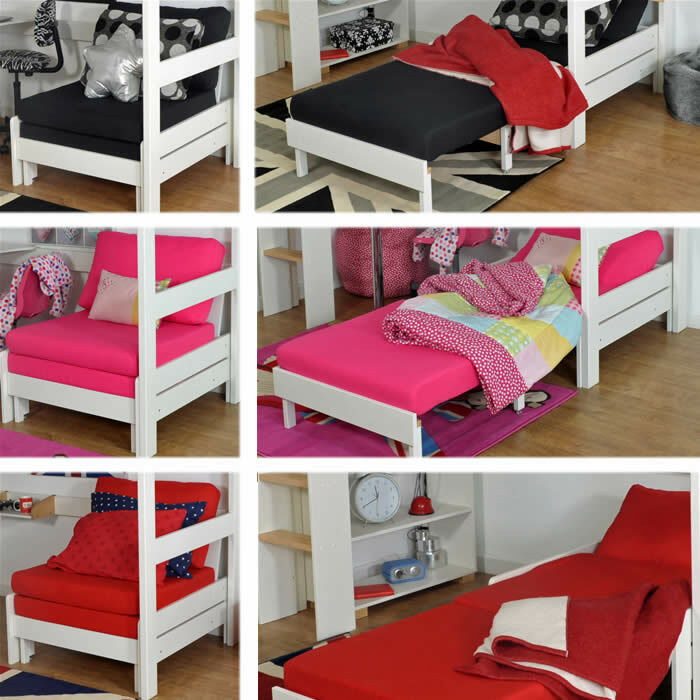 Save on precious bedroom floor space, sit and relax or pull out the 2 meter chair bed for guest use.